I became addicted to Unitrons many years ago when I bought a 50mm Unitron 105 scope at a flea market. I discovered the joys of small aperture with that scope, observing double stars and the moon. These scopes are oblivious to seeing, always delivering perfect diffraction patterns around stars. Because of the small aperture the airy disks are relatively large which make it much easier to see the color difference in the double stars that have a large enough separation to be split with this aperture. I’ll never forget the appearance of Eta Casseopea in that scope. Beautiful! One of my favorite Unitrons is the often overlooked Unitron 131C. It offers large enough aperture to see great detail on the Moon and planets, is relatively insensitive to seeing, has plenty of focal length so you can use comfortable eyepieces. 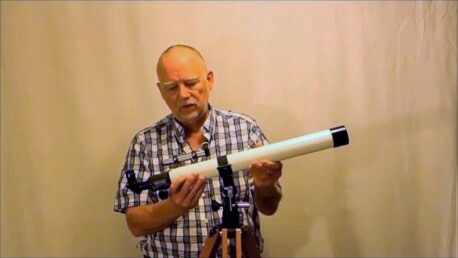 To top it off the scope is one hand portable on its mount! I am lucky enough to own two of the superb green lens versions. They are optically perfect, even with the presence of the folding mirrors. I would compare them with any Zeiss of similar aperture. My ultimate favorite is the 160. Wow, what a package. 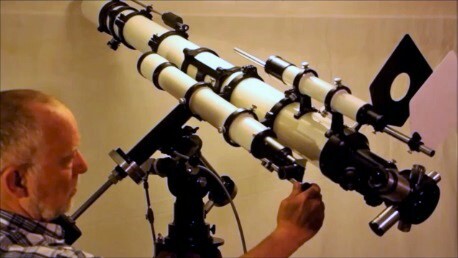 It is like having an observatory in the back yard, and is about as difficult to move. I seldom set it up because the task is so arduous. But it is a stunning sight and the performance matches its appearance. 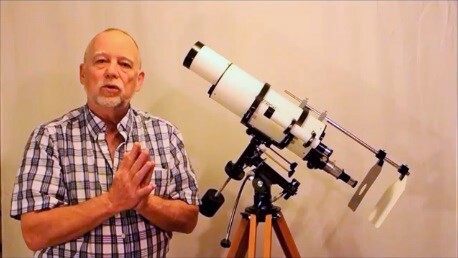 This entry was posted in Unitron Telescope on June 26, 2015 by DaveTrott.